Many teachers admit to feeling that they spend the majority of lesson time doing anything and everything but teaching. 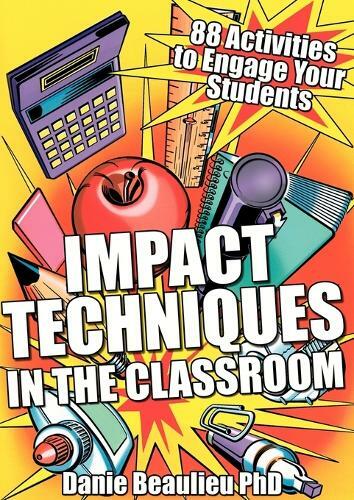 Impact Techniques in the Classroom offers a variety of quick and simple activities to be conducted as a group or on a one-on-one basis (and a few with the help of the parents) that will allow you to devote more time to teaching, all the while saving your energy and keeping the attention of your students. The techniques have been designed to exploit and apply the current knowledge about how the brain and memory function. By using verbal language, objects, images and movements these techniques target the student's implicit memory the form of memory that decodes information through intuition and experience and is outside the student's conscious control. Students are able to integrate new knowledge (whether intellectual or emotional) more quickly, more deeply and with greater intensity. This book offers 88 tools and activities to improve the efficiency and efficacy of your teaching by developing emotional intelligence, identifying learning styles, enhancing memory skills and increasing cooperation and engagement.